Best vitamins for beard growth: 12 fundamental vitamins + the products which contain them + how to take care of the beard + the explanation why the beard is not growing. The beard is very fashionable nowadays, that’s why most men start growing it looking for all possible ways how to do it fast. Nevertheless, many of them face the problem when the beard is either growing in flakes or extremely slowly. The reason for such situation may be the lack of vitamins in the person’s organism. 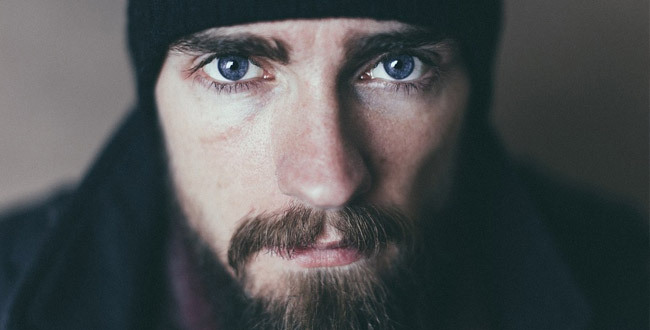 Read our article and choose the best vitamins for beard growth. Why is your beard not growing? The dilemma of thin hair on the face is common not just among the young men. Some mature people are also unable to make a beautiful beard. The age is a quite possible reason. Perhaps, your time to look so brutal has not come yet. The age when the bristle starts to appear on the face is unique and the active growth may be naturally observed in 15 as well as in 25. The ethnic background means that men of some nationalities are simply not characterized by such hairiness as it is. It’s quite normal for many northern nations (the Chukchi, the Eskimos, the Evenkis). The genetics state if the men in your family never had thick beard and bristle, you are unlikely to become an exception. The endocrine disruptions might be caused by testosterone – the main hormone which influences on the growth of the hair on the face. Poor hairiness on the cheeks and chin is the sign of the trouble in the work of the endocrine system in the male’s organism. The vitamin deficiency, oncological and some other diseases are accompanied by the alopecia, deceleration or complete stop of the bristle growth. What can a person do if the beard does not grow on the cheeks? Never give up on your plan to grow a beard. You decided to do it but every day you notice that the hair is thin and uneven, don’t you? It looks silly and many men decide not to experiment anymore. Actually, all you have to do is to wait. Surely, at the beginning, it might be uneven but then it expands and looks more respectable. Everyone just has his own speed of growing hair. Do not shave for more than a month and you’ll be able to boast of the wonderful beard and the best mustache. However, in case you want it to look elegant, you must cut it regularly to have the same length. You do not need to visit salons or barbershops for this because it’s quite enough to have scissors, a trimmer and an electric shaver at home. The human organism is a complicated mechanism where all organs and systems cooperate tightly. If the hair on the body is thin and the skin is dry and irritated, you should definitely think how to come up with the best diet. 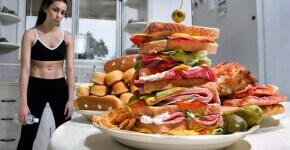 span class=»bold»>Give up all dreadful habits: alcohol, smoking, fatty food and plenty of calories. Add to your diet some vegetables and fruits, protein, drink much clean still water. Then not only your beard but the hair will grow strong and healthy while the general condition will return to normal. What vitamins are required for beard growth? Which ones from the existing are said to be the best vitamins for beard growth? You must understand that the beard is the same hair that grows on a person all over the body. However, these ones are more rough and harsh. So, if someone wants to hasten the process, he needs the same best elements as for the hair. B12 is the natural conductor of the oxygen straight to the follicles. Aside from this group, your beard requires such vitamins as A, C, E, D, PP, and such minerals as zinc, iron, calcium, and magnesium. Biotin is the significant water-miscible vitamin from the B-group which deserves to be discussed independently. It is essential for the manufacturing of the fat acids and fruit-sugar and for the metabolism of amino acids and carbohydrates. The deficiency of this element is known to be able to cause alopecia. That’s why you must be certain you’ve got enough biotin in your organism. The average daily norm for the adult is from 30 to 100 mcg. Comparing to the manufactured vitamin complexes which contain biotin, it’s much more preferable to eat fresh food which contains biotin. Where can you get the best vitamins for beard growth? You are able to enrich the stock of the best vitamins and minerals in your organism with the help of the several methods – rational and balanced diet and complexes of vitamins and minerals. Let’s start from the most crucial things. Until you set your diet, even the best vitamins won’t help you. The useful substances, which are contained in food, are digested by the organism on 80% and the ones we get from the medicinal drugs – only on 30%. 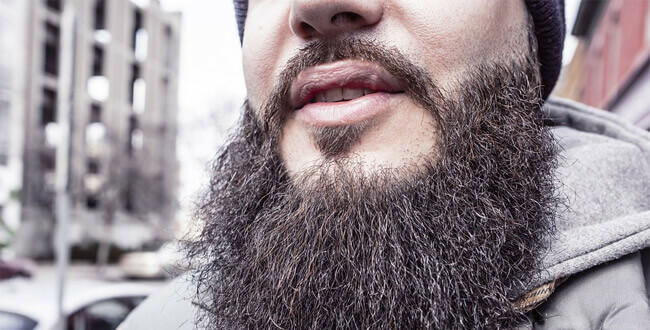 You should reconsider your diet when you want to make your beard grow. It must definitely include fresh fruits and vegetables which you eat raw. Surely, you can take the pharmaceutical products but you must take into account that it might lead to the development of hypervitaminosis. This condition is characterized by the excess amount of one or several vitamins in the body. It will also negatively influence on its work and may cause the appearance of other problems with health. Eat the products which contain many useful microelements and amino acids so that the beard grew thick and rich. The hair is known to consist of protein. Meat and poultry are the suppliers of this element to the human organism. Besides, these products are rich in iron, which increases the level of hemoglobin in the blood. Hemoglobin, in its turn, supplies the blood and follicles with the oxygen. Consequently, the hairiness is increased. Feed the follicles with omega-3 fat acids and they’ll preserve their health. These components are contained in sea fish. Moreover, it has protein, phosphor, zinc and vitamin B12. You can eat fish even every day. It may be boiled, fried and baked. Curd cheese, kefir, yogurt and other products contain much protein (casein) and vitamins (especially from the B-group), which are required for hair follicles and intense bristle growth. They have protein, phosphor, calcium, potassium, vitamins A, B, and D which help the beard to become thick and silky. These products are rich in vegetable protein, zinc, selenium, potassium, magnesium, iron and vitamins B. In order to preserve all useful components, cereals are advised to be poured with water and kept for 8 hours before eating in the raw condition. Offal can be milled in the coffee grinder and added to the soups and salads every day. Carrots and cabbages are said to be helpful for beard growth because the carrot contains much vitamin A which strengthens the roots, while the cabbages have vitamins A, C, E which maintain the follicles’ health. In addition, you’d better eat pumpkin, tomatoes, and spinach. Peas, green lentils, and beans are very effective. They are full of protein, zinc, selenium. Among the nuts, the best ones will be walnuts, cashew, and almond. 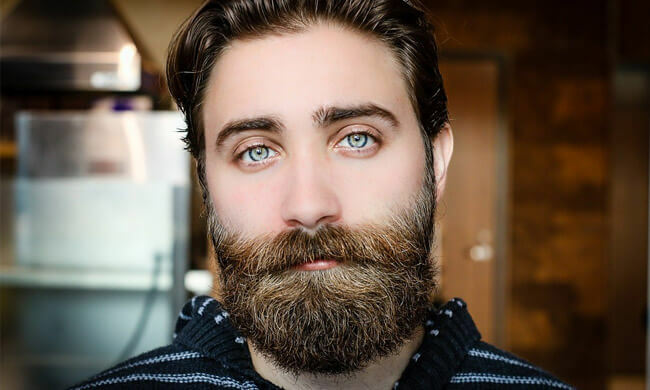 In case you want to get a certain length of the beard which has a pleasant appearance, you’ll have to take good care of it and perform the number of procedures. Wash it with shampoo every second day. Use hair conditioner at once after you washed it using shampoo. Regularly do the massage of the chin to increase the blood circulation. Remember to apply the best nutritive masks for the beard. Shave it strictly in the direction of the hair growth. Your beard is sure to be the best and very luxurious, you must secure the nutrition from the outside and the supply of the vitamins, minerals and amino acids from the inside. Watch your diet and take only the best vitamins for beard growth to achieve your goal.